Wow, this is a shocker! Bravo shook the peach tree and the unlucky Atlanta housewife to lose her peach may not be who you think it is. 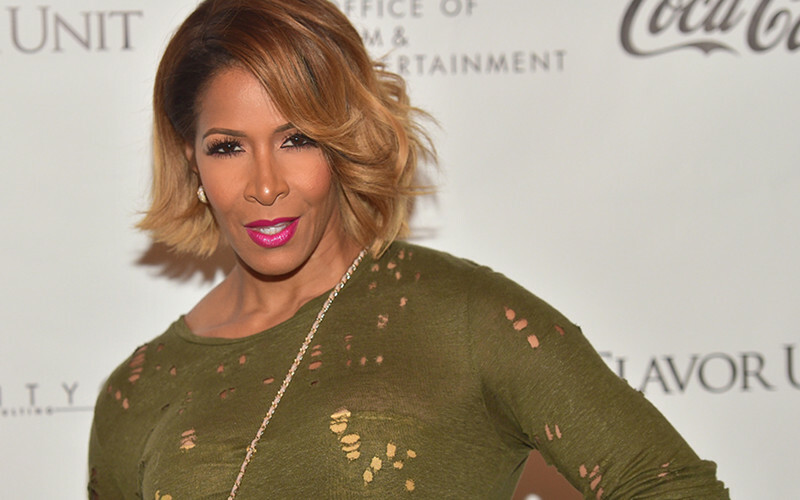 Love B Scott is exclusively reporting that Sheree Whitfield has been FIRED from The Real Housewives of Atlanta. Though it has been heavily speculated for months the Kenya Moore would be the booted housewife, sources tell the gossip site Sheree was the first lady not asked to return for season 11. Porsha Williams doesn’t seem too sad to see her only friend go. She cryptically wrote “karma” on Twitter, but the added peach emoji was all the shade we needed to catch the hint. Sheree’s second departure is a little surprising, but I guess her odd romance with inmate Tyrone Gilliams just wasn’t enough to make a cold glass of sweet peach tea. Sources say Porsha, NeNe Leakes, Kandi Burruss, and Cynthia Bailey are all safe (for now) and expected to return next season. Housewife “friend” Eva Marcille may even be back. Kenya was apparently saved because of her pregnancy announcement and reunion show antics. Producers were also pleased that her husband Marc Daly finally agreed to appear on the show. Along with Sheree, fellow RHOA OG Kim Zolciak is also not expected film for season 11. Good riddance! Kim only appeared as a “friend” but her season 10 return was plagued by accusations she’s racist—which, to be quite honest, were kinda hard to debate. Love B Scott also included a production note stating housewives are simultaneously notified of their pickup options approximately two weeks after the reunion show taping. Note: All pickup letters are sent out simultaneously approximately two weeks after the taping of the reunion show(s) concludes. Each housewife is then notified whether their contract will be renewed. Bravo housewife contracts have pre-negotiated renewal clauses/options determining how many additional seasons their option is for and any respective salary increases. New contract negotiations do not occur each year. Part One of the Season 10 Real Housewives of Atlanta reunion airs Sunday, April 8 on Bravo. Previous Saturday midday open thread: Renewables investing fell in 2017; will 1% snag 2/3s of world's wealth?